WASHINGTON — The Pentagon has spent more than a decade trying to develop weapons to neutralize chemical weapons, the threat that has the United States poised to launch a missile strike on Syria, according to military planning documents and officials. The weapons, which would be attached to a bomb dropped from an aircraft, are supposed to neutralize chemical weapons where they are produced or stored. U.S. and western officials accuse Syrian President Bashar Assad and his government of unleashing chemical weapons on civilians. Hundreds of Syrians died Aug. 21 in a suspected chemical attack, and the Obama administration has said Assad's government is responsible for it. What to attack — and how — are key questions for military planners. Four Navy destroyers in the eastern Mediterranean carry cruise missiles that can hit targets in Syria. 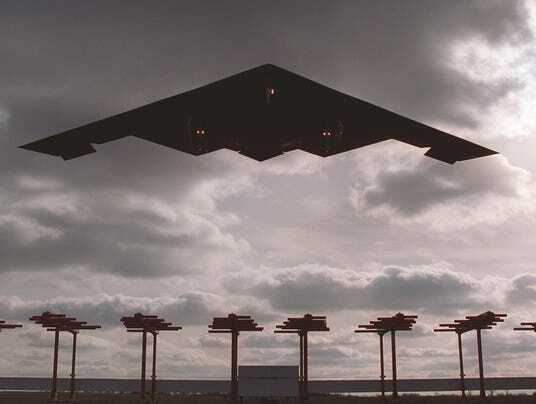 The U.S. Air Force has used its stealthy B-2 bomber to hit high-priority targets in Iraq and Libya and would seem capable of carrying such a weapon. The Pentagon's interest in a countermeasure for chemical and biological weapons surged after the 9/11 terror attacks and the assumption that Saddam Hussein and other rogue leaders had stockpiles of nerve agents and biological weapons. Pentagon budget documents show that testing of so-called Agent Defeat weapon continues. Getting one to work without causing more harm than good has been a struggle. The Defense Threat Reduction Agency has spent tens of millions of dollars developing and testing the weapon. The Navy dropped out of the Agent Defeat program in 2005 because byproducts from its explosion proved toxic. 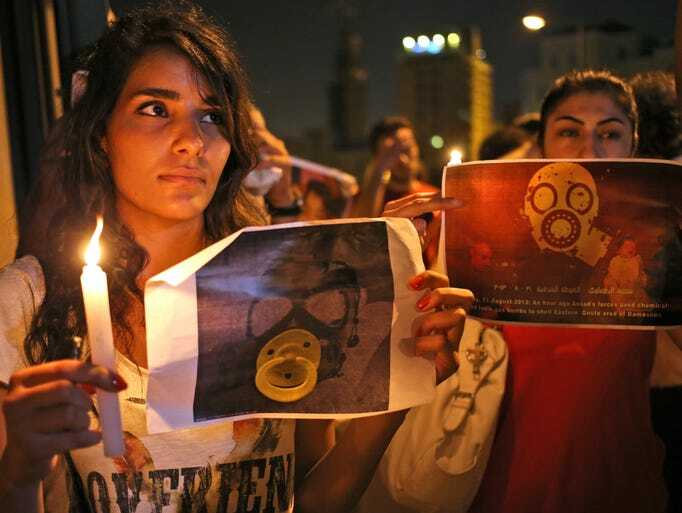 The agency continues to explore ways to eliminate chemical weapons safely, said Jennifer Elzea, a Pentagon spokeswoman. Details of current research and development are classified, she said. The Air Force has two Agent Defeat weapons, CrashPAD and the Passive Attack Weapon (PAW), according to Jennifer Cassidy, an Air Force spokeswoman. Instead of explosives, these relatively low-tech weapons use metal rods or fragments to pierce containers holding toxic chemicals, allowing them to escape. To be effective in densely populated areas, an Agent Defeat bomb must destroy toxic chemicals without dispersing them. In 2002, the Navy announced that it was developing the weapon and pairing it with bombs designed to penetrate fortified buildings. The Navy described it working this way: after bursting into a storage bunker, the warhead would spray copper plates at high speeds to tear into tanks containing toxic chemicals. Material within the warhead would burn so hot it would vaporize the chemicals that escape. A byproduct that explosion would generate chlorine gas, a disinfectant. If successful, analysts say, the weapon would represent a significant step in the fight against chemical weapons. But destorying only part of the toxic chemical agents and spreading the rest would be a failure. "The risk is that you would create a more serious mass-casualty event than what you were responding to," said John Pike, executive director of GlobalSecurity.org, a defense policy organization. A successful attack with the Agent Defeat weapon requires precise targeting. If chemical weapons are stored near populated areas, the need for a perfect strike increases, said Loren Thompson, a defense industry consultant and military analyst at the Lexington Institute. "If the weapons miss their aim points or don't burn intensely, they could disperse the chemical agents in a way that causes massive casualties," Thompson said. "The most effective way to render nerve agents and other chemical weapons harmless is to quickly incinerate them in a isolated location such as a bunker. 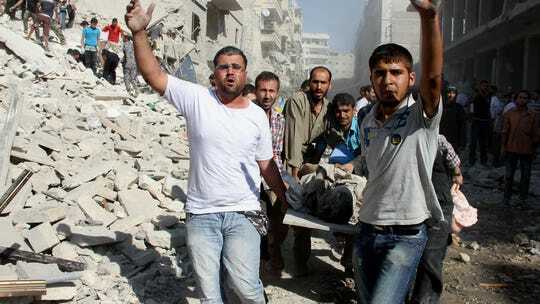 If they are stored among civilians, there is great danger of collateral damage."